For a one-time fee of $20, you get a membership. 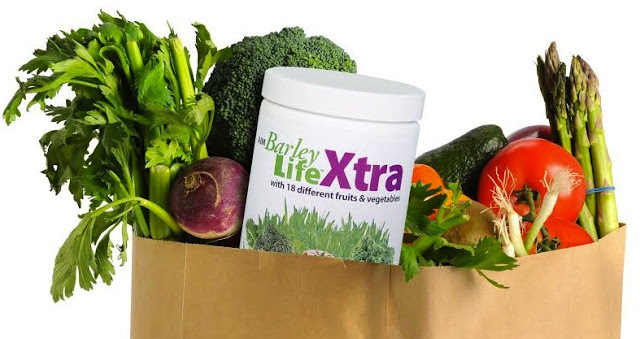 This allows you to save money by getting BarleyLife® Xtra at the wholesale price of $52.50, instead of paying retail. Note: On your first order, when you buy $100 or more, they waive the $20 application fee and you get your AIM membership for free. 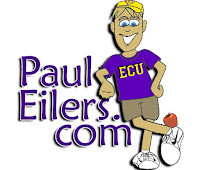 Note: If you sign-up for the monthly auto-ship, you get an additional five percent discount on orders of $100 or more. 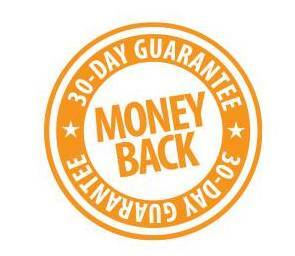 On orders of $300 or more, you get an additional ten percent discount. 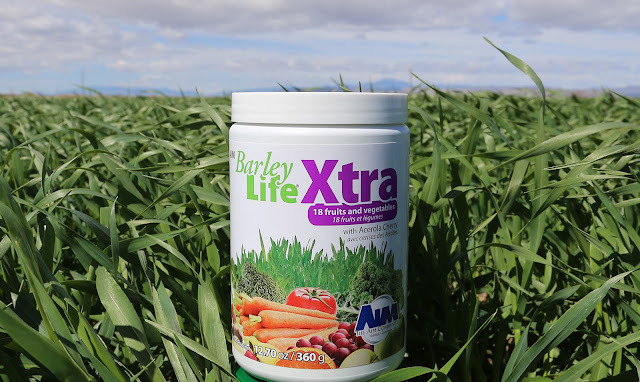 Q: Will BarleyLife® Xtra work for my kids? I don't know whether or not it will work for your children, but what if it does? What if it works for them the way it has for me and my family? That's why I say, No Promises, No Problems. Since your children are unique, I have no idea how concentrated nutrition will work for them. Then my wife started taking BarleyLife® after we were married. 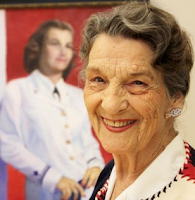 About a year later, she was surprised one morning when she no longer needed to wear glasses. 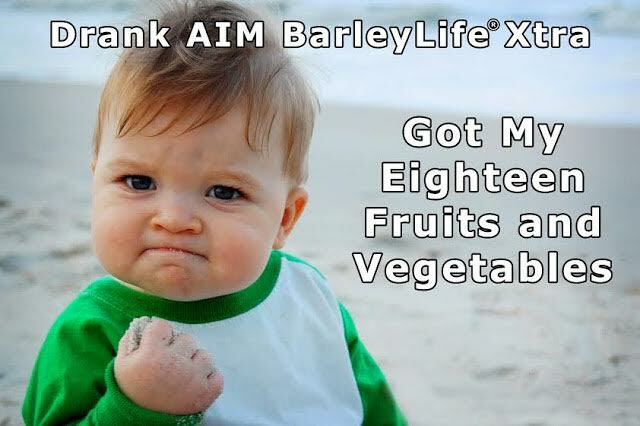 Laura also took BarleyLife® during her pregnancy with our son, Brady. So he has been taking it since before he was born. It’s been over eleven years now and Brady is one healthy critter! 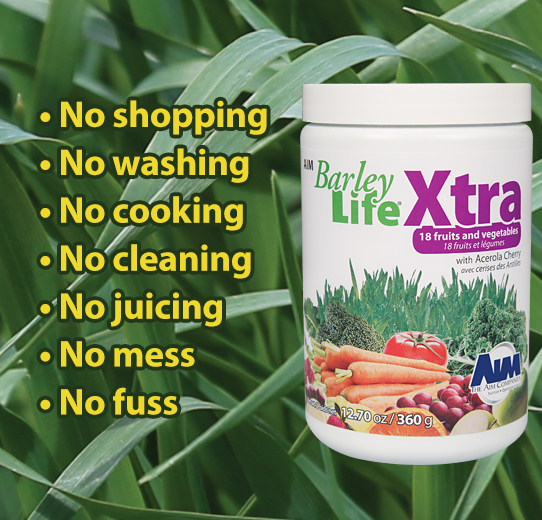 When I take BarleyLife® Xtra, I use a spoon and swallow it with water. You can also mix it in a glass of water and drink it. Vitamin C is a critical nutrient for holding your muscles, bones and tissues together, protects against bruising and helps your body absorb iron and folate. It also keeps your gums healthy, promotes the healing of cuts, scrapes and wounds, protects against infection as well as cell-damaging free radicals. Q: Is The AIM Companies™ a network marketing company? 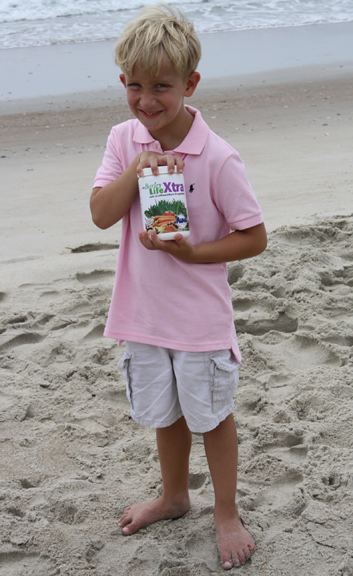 Yes, it's a no-nonsense company that focuses health and nutrition. And there is the option to do network marketing, if someone wants to do it. I also do try to convince or persuade anyone to become a customer. I simply find people who believe nutrition matters and makes a difference in their health. 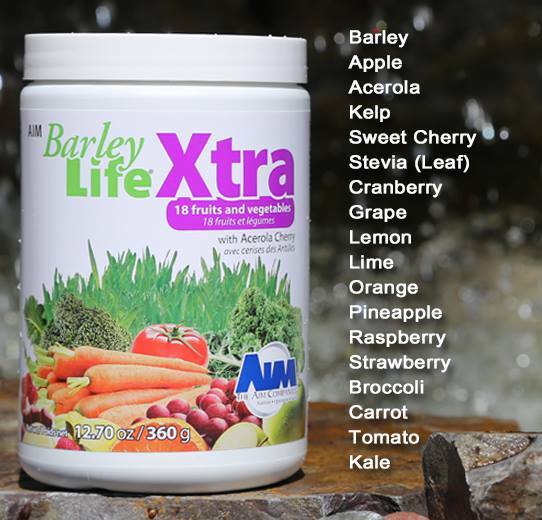 BarleyLife® Xtra is an excellent way for your kids to reap the benefits of a diet rich in fruits and vegetables. It only takes a few minutes a day to give their body the nutrition it needs, but the benefits last a lifetime. 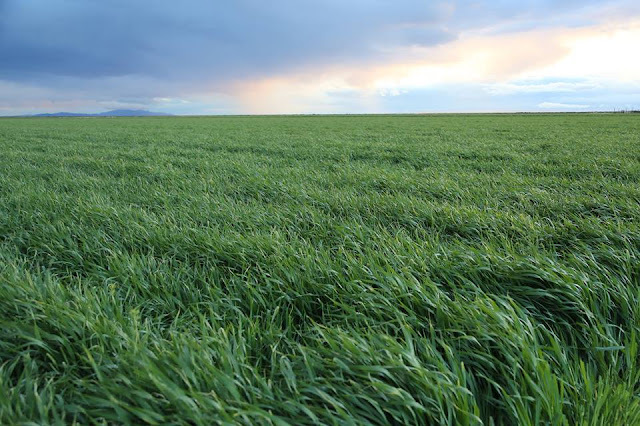 You might be thinking, "All of this sounds good. 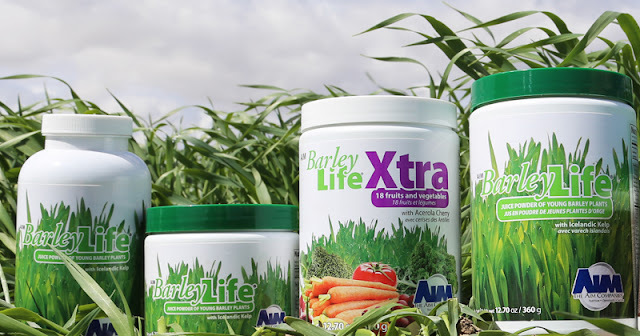 But what are the negatives about BarleyLife Xtra?" P.S. Everyone knows we need fruits and vegetables to be healthy. The latest guidelines call for children to get at least five servings per day. 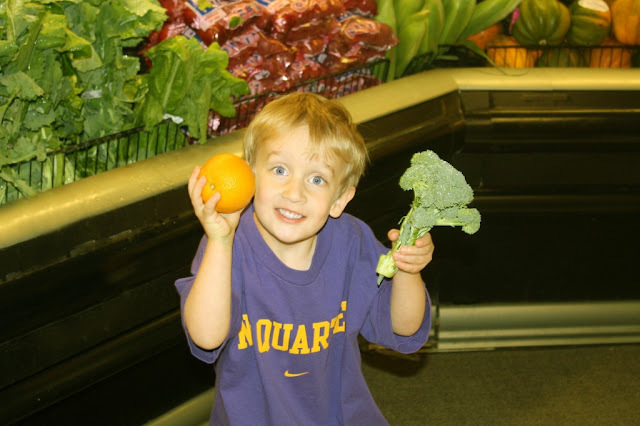 Can your kids eat enough fruits and veggies every day for good health - even if they like them? P.P.S. 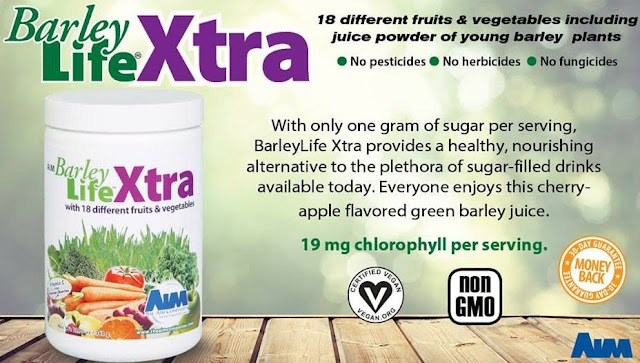 BarleyLife® Xtra is for parents who have kids that are picky eaters and want to make sure they're getting enough nutrition every day.